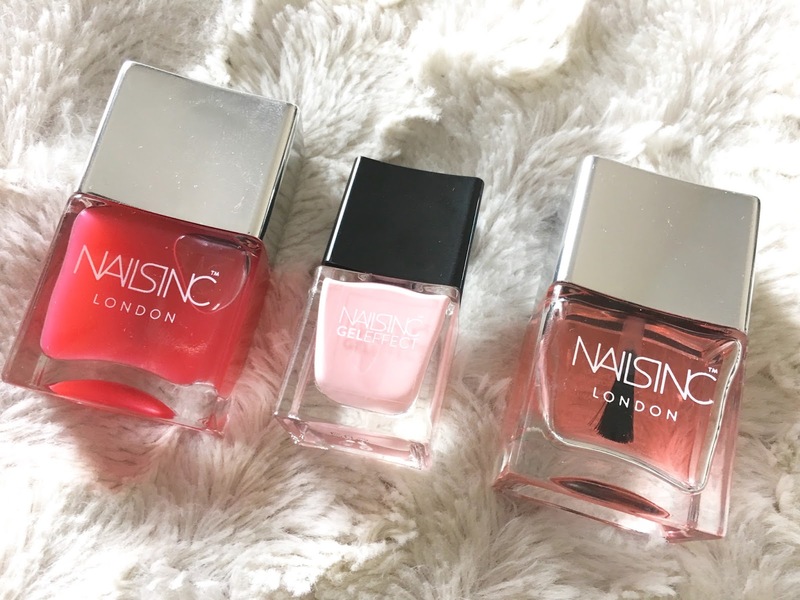 After going for a neon bright shade last week, I wanted to keep things mellow so I choose Nails inc. Trafalgar Mews, a blush pink shade from the coconut brights gel effect collection. The coconut gel effect collection is infused with coconut water to hydrate your nails. It is an ideal way to wear a bit of colour on your nails whilst also knowing your nails are being cared for in the summer heat. To achieve the results in the pictures above, I first applied a base coat, in my case I used Nails inc Kensington Caviar base coat. I then applied two layers of Trafalgar Mews before using Kensington Caviar top coat to complete my manicure. *pr samples c/o Nails inc.